This week in first grade...Bats are mammals, too! We have just covered what is a mammal and we are taking a little quiz to see what they know. 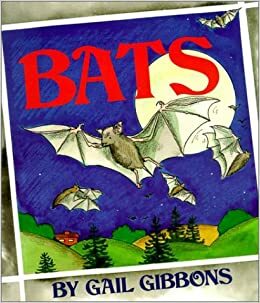 Then, we will be reading Bat by Gail Gibbons. Who doesn't love Gail Gibbons? I love this book so this is my feature book this week. Join Mrs. Jump's Class for Book Talk Tuesday. Great non-fiction...just enough information for 1st graders to remember bat facts! 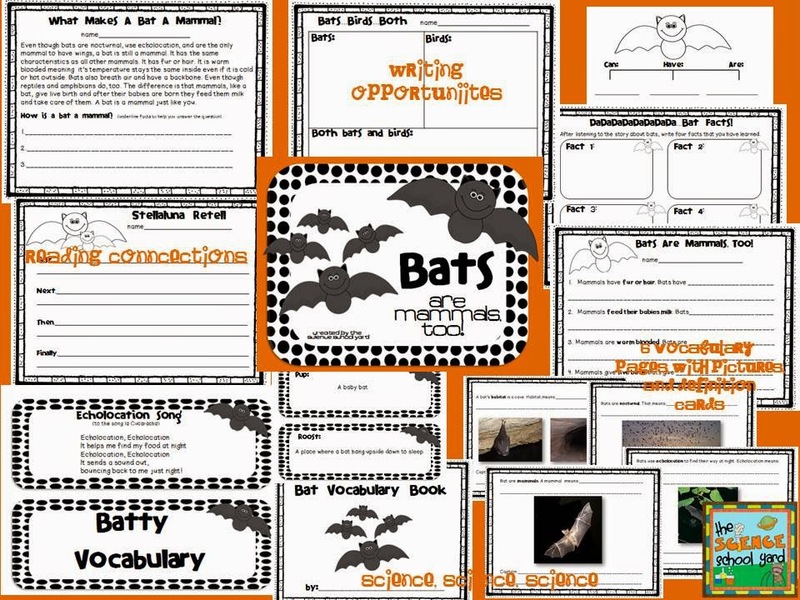 We will be using some of the activities in my new unit Bats: Bats Are Mammals, Too. I used the picture slides as a powerpoint to show the vocabulary words and then discuss what each word means. We then read the book, followed by the Bats can, have, are sentence starters fro the Bat Facts sheet. After the kiddos were done with the bat facts sheet, they could make a bat for our bat cave in the hall. They loved it. My teachers followed up with the other sheets and a follow up with Stellaluna. I will be using the can, have, are sheet as I make a big one on the wall. We will follow up by understanding how bats are mammals, too. I am using the facts sheet as a group activity. Each person will fill out a sticky note to add to the sheet. As a group, each person will read their fact and then stick it on the sheet. I will be passing on the Stellaluna to my classroom teachers to do the activity sheets. I gave them this great link from Storyline Online where you can find the reading of Stellaluna for free! This song is a cute beginning or end to compare birds and bats.